Thirteen-year-old Daine has always had a special connection with animals, but only when sheвЂ™s forced to leave home does she realize itвЂ™s more than a knackвЂ”itвЂ™s magic. With this wild magic, not only can Daine speak to animals, but she can also make them obey her. Daine takes a job handling horses for the QueenвЂ™s Riders, where she meets the master mage Numair and becomes his student. Under NumairвЂ™s guidance, Daine explores the scope of her magic. But she encounters other beings, too, who are not so gentle. 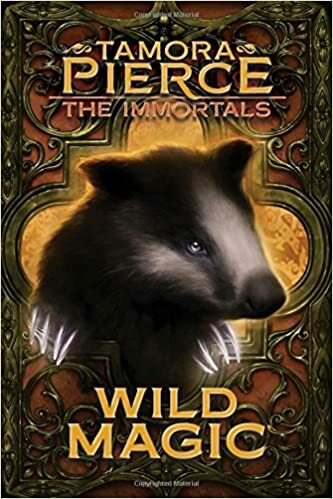 These terrifying creatures, called Immortals, have been imprisoned in the Divine Realms for the past four hundred yearsвЂ”but now someone has broken the barrier. And itвЂ™s up to Daine and her friends to defend their world from an Immortal attack. вЂњBeautiful, isnвЂ™t it?вЂќ The Lioness relaxed against the stone wall at DaineвЂ™s side. вЂњIвЂ™m so glad to be home.вЂќ You have a home to go to, the girl thought, and was immediately ashamed of herself. How could she begrudge the knight a place of her own? вЂњI donвЂ™t see how you could ever leave this,вЂќ she admitted. вЂњI donвЂ™t, either, except I took an oath as a knight, then as champion, long before I came here. And I keep my oaths.вЂќ They fell silent again. ItвЂ™s odd to see her in a dress, Daine thought.